"It’s important for kids’ health and development that they play and enjoy the outdoors. Outdoor activities help develop creativity, curiosity, environmental appreciation and many other qualities. With that goal, All Terrain® has developed products specifically to protect kids’ outdoor enjoyment." 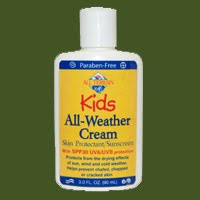 - http://www.allterrainco.com/ I received a bottle of Kids All-Weather Cream Skin Protectant/Sunscreen for review. I was so excited to receive this right before our annual family trip to the mountains! Cooper's face tens to get chapped in cold weather very, very easily. After just a few short minutes of playing in cold, windy weather, his face is rosy red and it can stay that way for days. Before we took Cooper snow tubing, we applied the Kids All Weather Cream to his cheeks. It made a definite difference! Cooper's snow tubing session was an hour and a half long, and he had absolutely no chaffing or chapping! I was thrilled! All Terrain Kids All Weather Cream contains SPF 30 UVA/UVB protection. It protects from the drying effects of sun, wind and cold weather. It also helps prevent chafed, chapped or cracked skin. Overall, I am very pleased with this product. I look forward to trying other products offered by All Terrain, as it is rare that I find a product that not only works well, but doesn't cause an irritation of my son's sensitive skin. BUY IT! You can purchase your own All Terrain Kids products at http://www.allterrainco.com/ . WIN IT! One lucky reader will win their choice of product from All Terrain! MANDATORY: Visit All Terrain, then come back and tell me which item you would most like to try! Extra Entries: Follow me! 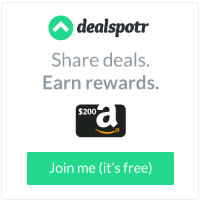 Subscribe to my blog via email Vote for me at Mommies Faves Top Blogs – link on left sidebar - be sure to leave the contest name in the comments area when you vote (2 entries) Blog about this giveaway (2 entries/leave separate comments with a link back to your blog) Place my button on your blog (be sure to leave a link!) Like Opinions of a Moody Mama on Facebook Follow me on Twitter and tweet about this giveaway! (Leave your Twitter name and a link) You can tweet this daily: " All Terrain Kids Skin Care giveaway at Opinions of a Moody Mama #giveaway @coopersmommy http://tinyurl.com/4c5l39z PLEASE RT! " Enter any of my other giveaways (1 entry per giveaway entered) ** Leave a separate comment for each entry and be sure to leave your email address so I can contact you if you win! ** Rules: Contest ends February 11, 2011 at 8:00 PM (EST) Open to US residents **Mandatory entry MUST be done before any other entries will count. Any comments that do not follow the rules will immediately be deleted. Winner will be selected via Random.org and will be notified via email. If the winner does not respond within 48 hours a new winner will be selected. ** I did not receive compensation for this post. I did receive product(s) mentioned above to facilitate the review. All opinions are 100% mine. I'd love to try the Equine Herbal Armor Insect Repellent Spray (16oz). I would like to try the Herbal Armor Pump Spray. I'd like to try the Natural Insect Repellents - All Terrain Herbal Armor. Thanks for the contest. try the all weasther cream ty. My Mama's Love Giveaway Extended!